The Ritz-Carlton Residences Waikiki Beach Tower 2. The 16th floor has beautiful Ocean, garden and resort pool view. xD; xA;The unit is currently vacant for easy to show. Ritz-Carlton legendary full service and amazing amenities with beautiful resort pool. xD; xA;The unit comes fully furnished with W/D. The sofa bed for extra sleeper. Enjoy beautiful sunset from your lanai. 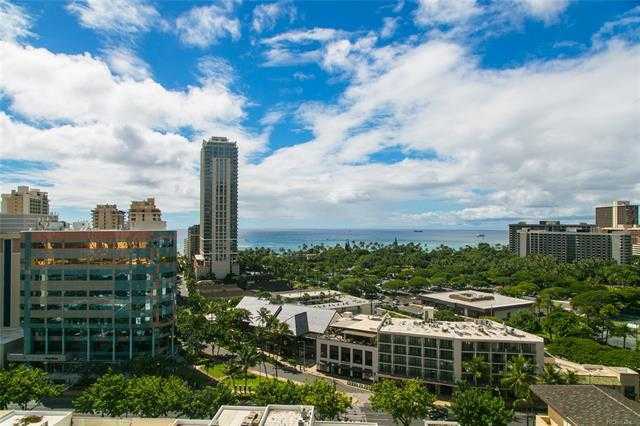 Please, send me more information on this property: MLS# 201828854 – $1,100,000 – 383 Kalaimoku Street Unit 1609, Honolulu, HI 96815. I would like to schedule a private showing for this property: MLS# 201828854 – $1,100,000 – 383 Kalaimoku Street Unit 1609, Honolulu, HI 96815.